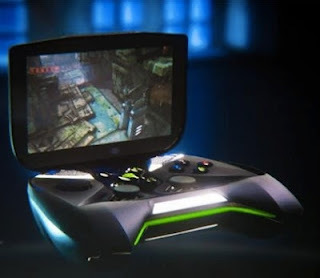 Termed "Project Shield", the clamshell design console resembles an XBox 360 controller and features a 5-inch display. Based on Google's Android operating system, it is set to benefit from the fast growing number of games available on that platform without having to develop its own ecosystem - as is the case with competing gaming devices such as the PS Vita and the Nintendo 3DS. Shield will be powered by Nvidia's latest processor, also announced at CES, the Tegra 4. Nvidia's CEO Jen-Hsung Huang called it the world's fastest mobile processor when unveiling it at a company event in Las Vegas on Sunday evening. Sporting as many as 72 graphics processing unit cores, the "Tegra 4 is the fastest mobile processor in the world today," Huang said. However many bloggers who went hands on with the system claim that there are multiple freezing issues and a huge amount of bugs. So its still along way away from competing with the Playstation Vita. Let us know if you think this will affect the PS Vita in the comments below!